Greg, a 30-year-old web designer, is settled into a stable and healthy relationship with Ken, a criminal defense attorney. Caught in a moment of passion on the eve of their four year anniversary, Greg soon begins feeling nauseated, fatigued, moody and most unfortunately fat. At his wit's end and his boyfriend's insistence, he sees a doctor who's stumped and refers the couple to a specialist. To everyone's amazement, Greg is pregnant. Shock, stress, and fear settle in, and Greg's relationship gets put to the ultimate test. 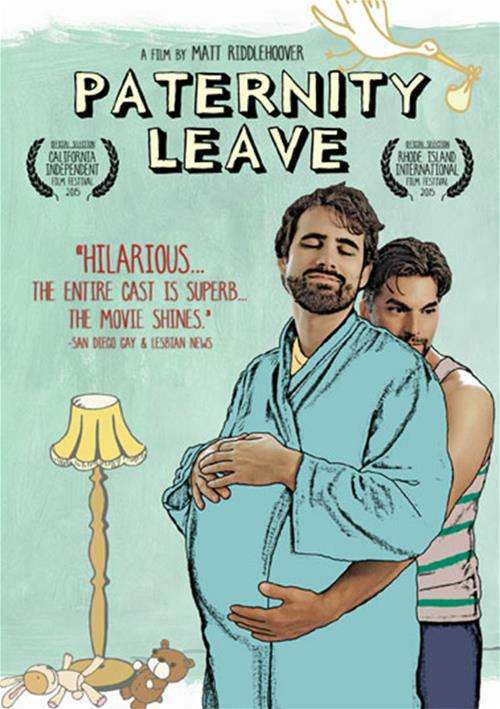 Paternity Leave poses a modern answer to the age old question: "Are we ready to be parents?"